Local Vail skateboarder Josh Kress grinds around the bowl at the new Zeke M. Pierce Skatepark in Lionshead Village on Thursday. The park has a halfpipe and mini bowl, rails and more. The slower pace of offseason makes for an ideal time to explore a little more. 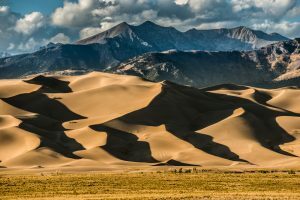 The Vail Valley has a number of events coming up in September and October, and as all the leaves start to shimmer gold throughout the state, don’t miss out on what some other Colorado destinations have to offer. 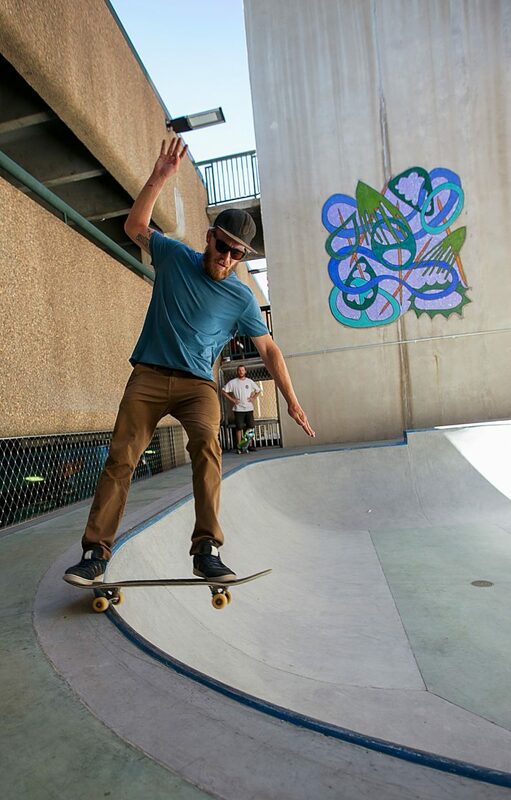 • The Zeke M. Pierce Skatepark in Lionshead Village, now open every day, dawn until 11 p.m. — Before the snow falls, get your riding fix at Vail’s brand new, $1.9 million skate park, now open in the Lionshead Village parking structure. The park has a halfpipe and mini bowl, rails and more. California Skateparks designed the park, and it showcases mosaic murals by artist Valerie Theberge. It’s named for Zeke Pierce, an avid local skateboarder who lost his life in a mountain-bike accident at age 15. Bring a helmet, as it’s required, and kneepads; wrist guards are recommended. Visit http://www.vailrec.com. • Epic Discovery on Vail Mountain, Fridays through Sundays only through Oct. 2 — It’s not to late to check out Vail Mountain’s new Epic Discovery, which encourages kids and adults to learn through play on ziplines, canopy tours and alpine coasters, as well as with wildlife trail exploration and interactive activities. The Game Creek Canopy Tour flies riders through the forest with a system of ziplines and aerial bridges as high as 300 feet above the earth, and the Forest Flyer is a gravity-based alpine coaster where you can sit on your own sled and control your speed. Head to the top of the Eagle’s Nest gondola to find Epic Discovery — fall hours are 10 a.m. to 6 p.m. Friday through Sunday through Sunday, Oct. 2. Unlimited, all-day access is $89, which includes a scenic gondola ride to the top. Visit http://www.vail.com to learn more. • Lake Street Union in Avon, Saturday — The inaugural Lake Street Union will be held at Harry A. Nottingham Park and Avon Performance Pavilion on Saturday, from 8 a.m. to 5 p.m. It’s a new yoga event featuring workshops with local teachers, stand-up paddleboard yoga, meditation and even “doga” — yoga with your dog. Burns said the festival’s ultimate focus is enjoying our mountain community in this vibrant season. “We are so blessed here in the Vail Valley to have so many yoga teachers, all unique in their own way,” she said. Day passes to the event are $50, and individual class tickets are available, as well. Visit http://www.lakestreetunion.com to learn more. • Vail Beaver Creek Restaurant Week, Friday, Sept. 30, through Sunday, Oct. 9 — The fourth annual Vail Beaver Creek Restaurant Week spans 10 days and begins Friday, Sept. 30. The week will feature a variety of $20.16 specials in restaurants across the Vail Valley, as well as lodging deals for those who are coming from out of town or locals who want to take a mini fall staycation. The Top Shelf Harvest event will be returning for its third year on Saturday, Oct. 1, with a happy hour celebration held in Lionshead Village from 3 to 6 p.m.
• Man of the Cliff in Avon, Saturday, Oct. 15, through Sunday, Oct. 16 — Man of the Cliff is where you’ll likely see the most flannels and beards in one place this fall. Now in Avon at Nottingham Park, the lumberjack (and Jill) competition benefits First Descents, and spectators are asked to give a $5 donation to the organization. Participants of all skill levels can compete in events such as ax throwing, hammer toss, archery, speed toss, keg toss, tug of war and more. Online registration is $80 in advance, or $100 per person at the event. Please visit http://www.manofthecliff.com to learn more. • Eagle Yoga Fest, Friday, Oct. 14, through Sunday, Oct. 16 — The crisp days of fall can also call for a slightly slower pace. Yvonne Schwartz, owner Yoga Off Broadway, founded Eagle Yoga Fest, with the vision to create a yoga festival that allows you to leave feeling relaxed, renewed and restored. “The focus of the festival is to celebrate mindful movement and the slower side of yoga,” Schwartz said. The weekend gathering will feature more restorative yoga styles, along with educational lectures and live music. Visit http://www.eagleyogafest.com. • Glenwood Springs getaway — Glenwood Caverns Adventure Park is a mountaintop theme park with cave tours, tram and thrill rides. Pair the park with a relaxing visit to Iron Mountain Hot Springs, a year-old facility with 16 soaking pools filled with hot mineral water on the side of the Colorado River. You can check out both the adventure park and the hot springs for a discounted price. The Funday Pass and Soak is $63 for adults and $53.10 for children ages 3 to 12 (kids younger than 3 are free). Visit glenwoodcaverns.com or http://www.ironmountain hotsprings.com. 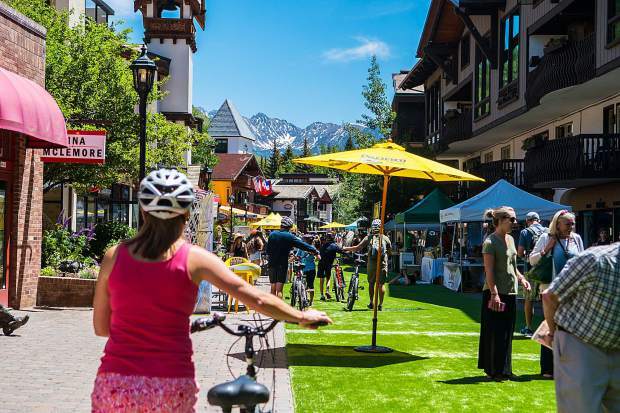 • Wine and film in Breckenridge, Thursday through Sunday — The inaugural Breckenridge Wine Classic begins Thursday, Sept. 15, and will give attendees opportunities to taste food and wine throughout the resort. Individual tasting event tickets are available, ranging from $20 to $199. Visit http://www.gobreck.com/events/breckenridge-wine-classic. This same weekend in Breck, the Breckenridge Film Festival will be showing a wide spectrum of programs on films and filmmaking. Day passes start at $40, and Wine Classic and Film Festival combo passes are also available for purchase. Visit http://www.breck filmfest.org. • Steamboat Springs bike park — Downhill mountain biking at the Steamboat Bike Park offers more than 50 miles of freeride and downhill terrain — with options for all abilities — accessed with a bike access ticket via the Steamboat Resort gondola. To learn more, visit http://www.steam boat.com/things-to-do/downhill-mountain-biking. After your ride, head to Strawberry Hot Springs for a natural soak on the mountainside. The springs are nestled in an aspen grove about 15 minutes from town, and lodging options are available. Learn more at http://www.strawberryhotsprings.com. • Colorado Mountain Wine Fest in Palisade, Thursday, Sept.15, through Sunday, Sept. 18 — Begin a long weekend of wine loving on Thursday, Sept. 15, at the 25th anniversary of the Colorado Mountain Wine Fest. This wine celebration is held annually in Palisade and brings in dozens of local wineries to the state’s largest and oldest wine festival. During the Festival in the Park on Saturday, Sept. 17, visitors can indulge in unlimited wine samples, see live entertainment and take home a commemorative tasting glass for a general admission ticket of $50. This is also a prime opportunity to buy Colorado wine straight from its creator. Visit http://www.coloradowinefest.com. • Telluride Blues and Brews Festival, Friday through Sunday — Three-day passes are almost sold out for the 23rd annual Telluride Blues & Brews Festival, held Friday through Sunday. The event showcases acts on multiple stages, as well as yoga sessions, late-night shows and an overflowing amount of beer to try. Visit http://www.tellurideblues.com. • Boulder Hot Air Balloon Flights — You can float over Boulder this fall with Fair Winds Balloon Flights. Morning sessions come with a continental breakfast and even champagne, so you can celebrate the season before it’s snow that’s flying through the air. The operating season for Fair Winds is May through November. Rates start at $259 per adult and $239 per child for weekdays and increase on weekends and holidays. Mention the “Internet Autumn Special” to receive $60 off original rates. Visit http://www.hot airballoonridescolorado.com. • Last days of summer in Denver — The Warwick Denver Hotel has just completed a $1 million renovation of its rooftop pool. The hotel is in Denver’s Uptown Neighborhood, known for its tree-lined streets, array of independent restaurants, bars and boutiques and easy access to city parks, downtown and cultural destinations. Take advantage of the Pool Time Package, which includes complimentary valet parking and a $20 daily food and beverage credit at the Warwick Denver’s rooftop lounge and pool, which features panoramic views of downtown Denver and the Rocky Mountains. The package starts at $219 and is available through the end of the year. Visit http://www.warwickhotels.com/denver. • Animal visit in Colorado Springs — Feed the giraffes or watch elephants paint or grizzly bears play at the Cheyenne Mountain Zoo in Colorado Springs. Visit Cheyenne Mountain Zoo on weekdays for adult rates of $19.75 per person and kids rates of $14.75 per person. For the Boo at the Zoo trick-or-treat events during select weekends in October, the Zoo will close at 3 p.m. and reopen for the event at 4 p.m. (separate ticket required). Visit http://www.cmzoo.org. 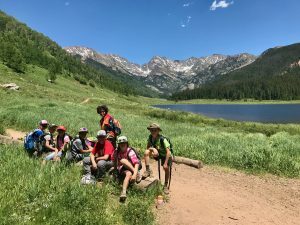 The pet- and family-friendly Cheyenne Mountain Resort is just down the hill from Cheyenne Mountain Zoo and is a spacious and relaxing place to stay for a long weekend away. Through the end of October, the resort is offering a fall foliage scenic bike tour package that lets guests experience the golden aspen trees in the area. 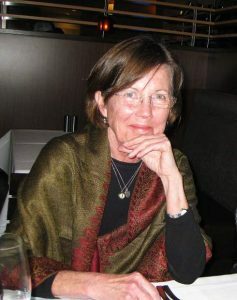 Please visit http://www.cheyennemountain.com.